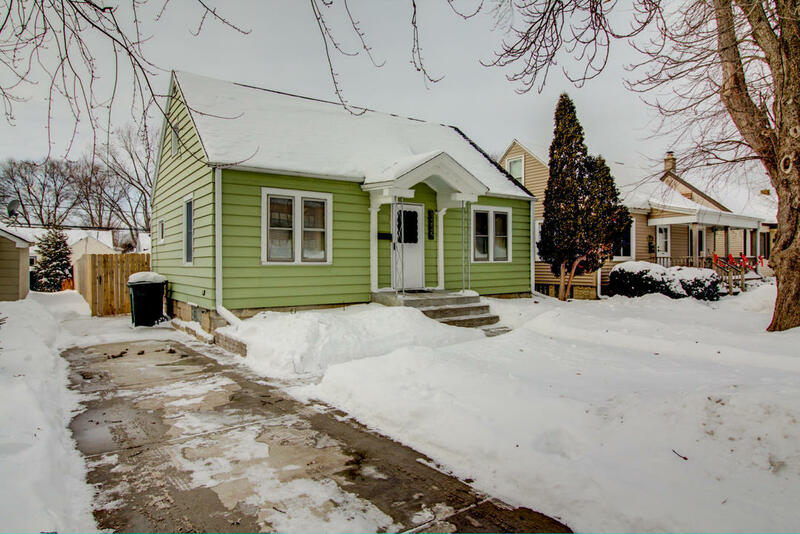 Extremely clean & updated 3 bedroom ranch located in a desirable West Allis neighborhood! Kitchen features white painted cabinets, ample counter space & newer stainless steel appliances included. Dinette off the kitchen over looks the newly installed brick patio & large fenced back yard. The interior has been recently painted & many newer fixtures installed. Very nice refinished HWF's throughout. Nicely updated bathroom with tiled floor & tub surround. Basement with finished rec room & bar.Side drive with parking for 2 cars. Many plumbing updates done. Newer furnace. New roof & A/C in 2017. New storage shed in 2016. Truly a turn-key home!